Just when you thought USB drives couldn't get any smaller, new technology comes to the rescue with the Verbatim Store 'n’ Go Micro USB Drives, which offer up to 8 GB of storage in literally half the size of a SD memory card -- or the length and width of two microSD cards (1.22" long, 0.5" wide, 0.08" thick, 0.05 ounce). These drives are only a tiny bit thicker than a SD card as well. Yeesh! The new development here is System in Package (SIP) technology, which integrates all the electronic components into a single sealed unit. The resulting drive is resistant to everyday handling, dust, moisture and static discharges, so you don't give up ruggedness for the small size. The Store 'n’ Go Micro is also Enhanced for Windows ReadyBoost, and includes V-Safe 100 security software for Windows to create a password-protected private zone on the drive. The Verbatim Store 'n’ Go Micro USB Drive is available with 2 GB for around $19 (in orange), 4 GB for $22 (green), and 8 GB for $32 (purple). But how do you use a device that literally half the width of a USB port? Just insert the drive with the contacts facing the USB logo, or to the center of the connector. Or just try to shove it in -- you'll notice that it does not fit right if you have it backwards. And while the Store 'n’ Go Micro is not quite as small and easy to lose as a microSD card (the bright colors help too), you still may want to use the included lanyard to attach it to your key ring or cell phone. The idea is that it's rugged enough to just carry along -- the plastic case is solid, and does not flex or threaten to break. I'll be speaking again at the Princeton University IT Seminar series this Wednesday, April 15, on The Flash Storage Revolution, tracing the march of flash memory though the consumer electronics and now computer industries -- and with some hot new devices to demo, working from the trends and products showcased in my Digital Media Galleries. Update 3: Princeton has posted its blog report on the talk, and the audio podcast (also available on iTunes under Princeton University). As I was preparing my recent presentation on The Flash Storage Revolution (see previous post), there were a couple interesting business announcements that point the way to developing trends in personal storage -- from the very tangible and always-there flash memory to the much more ephemeral but wide open vistas of the network cloud. The first news was from Western Digital, a clear leader in magnetic storage, with hard disk drive systems from portable consumer peripherals to high-performance PCs to enterprise servers. Last month, Western Digital announced the acquisition of SiliconSystems, a leading supplier of solid-state drives for the embedded systems market, for $65 million in cash. Clearly, Western Digital is recognizing the importance of Solid-State Drives (SDD) as a challenger to hard disk drives (HDD), saying in the announcement that the acquisition will help "address emerging opportunities in WD's existing markets" -- and across the product line, to "significantly accelerate WD's solid-state drive development programs for the netbook, client and enterprise markets." SSD also is more shock and heat resistant, lighter and permits more compact designs (1/2 the weight), uses less power (1/2 the power in a PC, and 1/8 the power in Samsung camcorders), runs cooler and quieter (for longer battery life), and is more reliable (up to 6X longer mean time to failure). SSD already is an option for some new notebooks, albeit still at a price premium, but companies like Intel, Samsung, and SanDisk are working hard to bring SSD prices down even faster and further. SSD is also a cost-effective option for upgrading older systems. Instead of replacing an older laptop, you can swap in a SDD drive to make the system feel young again, with a clearly visible performance boost for disk-intensive operations. Companies like SanDisk and Imation now offer both consumer and enterprise lines of SSD replacement drives, in both 2.5-inch and 3.5- inch form factors. The Imation SSD Upgrade Kits (shown here) bundle the SSD drive with a power cable, USB-to-SATA or SATA connector cable, and Acronis True Image HD software for migrating from your existing hard drive -- including the data, applications, and operating system. See my article on The Flash Storage Revolution for more on flash, SSD, and its use also in new netbook computers. The second theme from recent business announcements that suggest future directions for personal storage (see previous post) extends consumer storage from local disks to the network cloud. Both of the netbooks that I looked at for my recent presentation on The Flash Storage Revolution (see previous post), are speced with "hybrid" storage -- combining both the built-in disk drive plus an additional allocation of online storage. 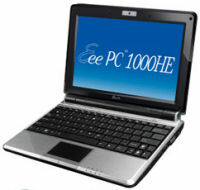 For example, the ASUS Eee PC 1000HE comes with a 160 GB hard disk drive (HDD), plus 10 GB of online Eee storage, which is free for the first 18 months. And the Dell Inspiron Mini 9 ships with a relatively small 8 to 32 GB solid state drive (SSD), plus 2 GB of free online storage from Box.net. You then can upgrade to 25 GB for $100 a year, with relaxed limitations on uploads, folders, and transfer speed. Meanwhile, LaCie also has reached to the clouds with its recent acquisition of Caleido AG, the creators of the Wuala social online storage service. You store and backup files in the cloud, and then access and share them from anywhere over the Web. LaCie sees this as morphing the company from a pure hardware manufacturer to a solution provider with a combined solution for storage -- Local storage on devices for fast access, plus secured remote storage on the cloud, for easy sharing and data versatility. Wuala really is a diffuse cloud -- It encrypts your shared files, splits them into fragments, and then stores them redundantly on servers and in its grid network. There's a desktop client for Windows, Mac, and Linux to drag-and-drop files to upload in the background, with fast download though parallel peer-to-peer connections. Wuala starts with 1 GB of online storage, and can expand in two ways. You can trade your own idle disk space to become part of the cloud (i.e., 50 GB on your computer for 50 GB online), or buy additional storage (10 GB for $25 a year, 100 GB for $100, of 1 TB for $1000). Online storage does solve a lot of problems for backup and sharing -- your files flow gently into the cloud where they can be easily accessed (with proper permission). Of course, there is an element of trust involved -- you're relying that the software is working correctly, the files are encrypted and protected safely, and the company managing the big farm of servers in the sky is not only reliable, but will still be around later when you really need those files. Then Wuala's P2P storage mechanism adds another set of issues, both from the additional complexity of chopping up your files, and from the totally ad-hoc nature of where your files may happen to be stored. It's one thing to look for public files in the wilds of a P2P network, and another to store your own stuff out there, hoping that the redundancy algorithm can accommodate changes over time as consumer's computers with slices of your files go offline. Still, anything that can get people backing up their files is a good start! 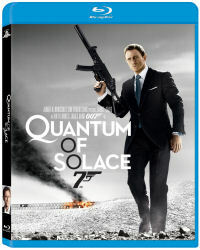 See my article on The Flash Storage Revolution for more on storage applications and developments. 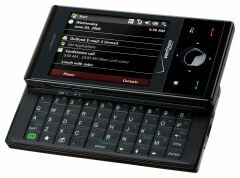 See my Mobile Communications Gallery for more on netbooks. Flip Video has just introduced its second generation Flip Ultra pocket camcorder, now available in both standard-definition and high-def versions. 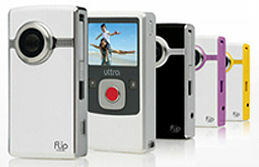 Flip has two pocket-sized camcorder models: the extra-tiny Mino (3.3 ounces, see previous posts), and the larger Ultra with removable battery (6 ounces). In addition to the HD version, the new Ultras have a larger screen (2 vs. 1.5 inches), with more memory to shoot twice as long (up to two hours), and the HD version has HDMI output for displaying directly on a HDTV display. The Mino is a minimalist design that's easy to carry. The Ultra lets you shoot longer for longer trips with more memory and swappable batteries. As with the other Flips, the Ultras turn on instantly so you can quickly begin shooting with one press of the big red button. You can off-load the video with minimum fuss with the built-in pop-out USB connector, and it even includes built-in FlipShare software for Windows and Mac to save, organize, and edit video and upload directly to MySpace and YouTube. The new Flip Ultra fits in your front pocket at 4.25 x 2.19 x 1.17 (compared to the Mino at 3.94 x 1.97 x 0.63 inches). 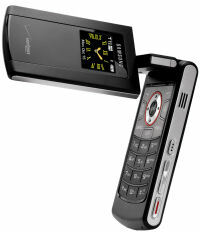 The HD Ultra shoots 720p widescreen video (1280 x 720). Both record video in standard H.264 video format, which works with Apple iTunes, QuickTime Player, and Microsoft Windows Media Player. The standard-def Flip Ultra is available in black, white, pink, and yellow for $149, and the HD version in black and white is $199. Entries posted to Manifest Tech Blog in April 2009, listed from oldest to newest.